DoReMikko (ドレミッコ) – Famicom Disk System – Nintendo Sega Japan! 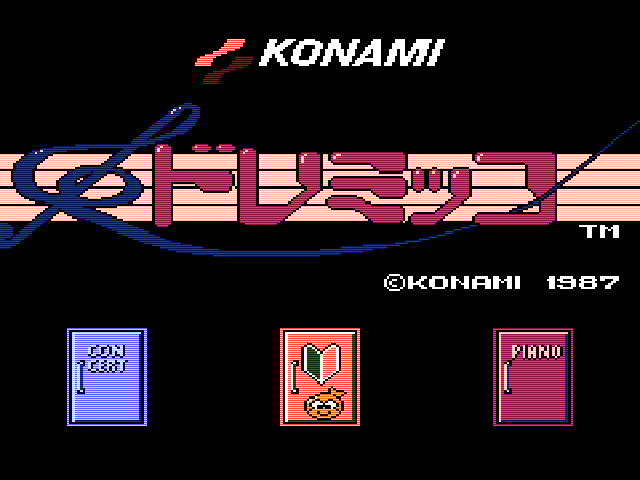 DoReMikko (ドレミッコ) is a game I never thought I would ever be able to obtain. It usually goes for hundreds of dollars. But a few months ago on I unexpectedly won an auction on Yahoo Japan for a complete copy, far below usual price! The name DoReMikko is a play on ‘Do Re Mi’ – the anglicised versions of the first three notes of the Solfège scale (probably most well known from the song in the musical The Sound Of Music). 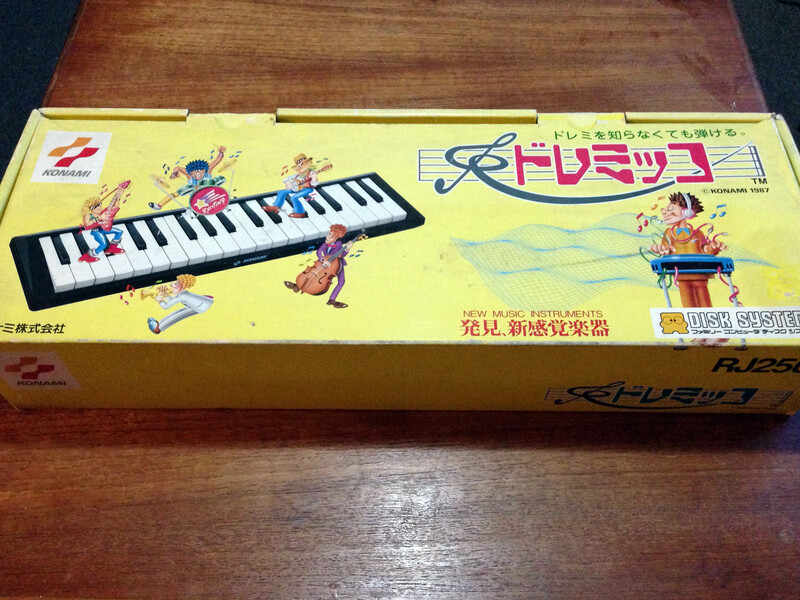 It’s a music game/software package for the Famicom Disk System that came with a keyboard controller. The keyboard is pretty nice quality, if a bit small. There are three main modes. First up is Concert Mode. 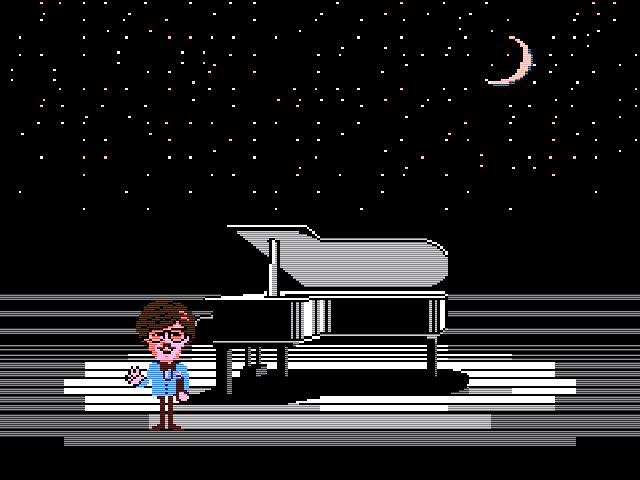 Here you can play along with a Gradius melody medley with a full band accompaniment. 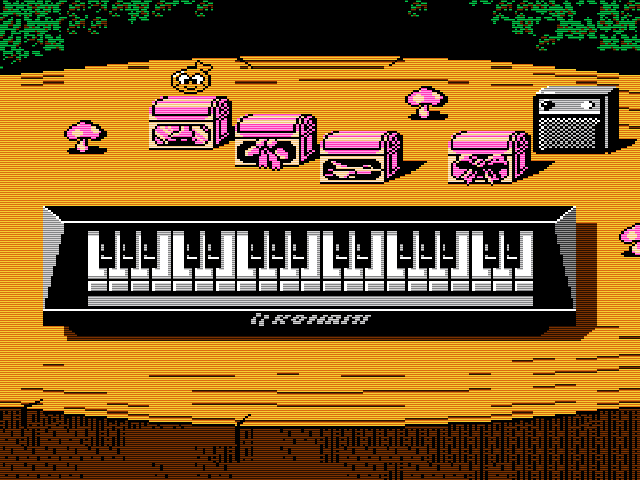 You can select the instrument the keyboard sounds like, and set tempo and style, everything from rock to country to techno (and a strangely 4/4 waltz). More options are available in a menu, allowing you to adjust various parameters of yours and your accompaniment’s instruments. You can also record your performances to disk. 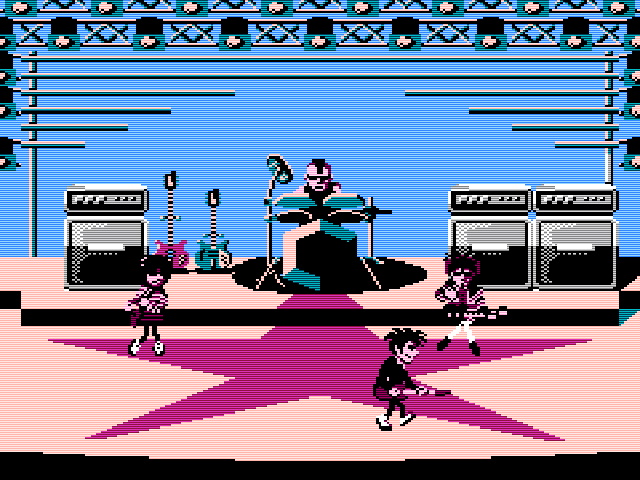 If you’re into 8-bit music, it’s pretty fun to fiddle around with the instrumentation, limited as it is. The instrument you pick affects the animation that plays. 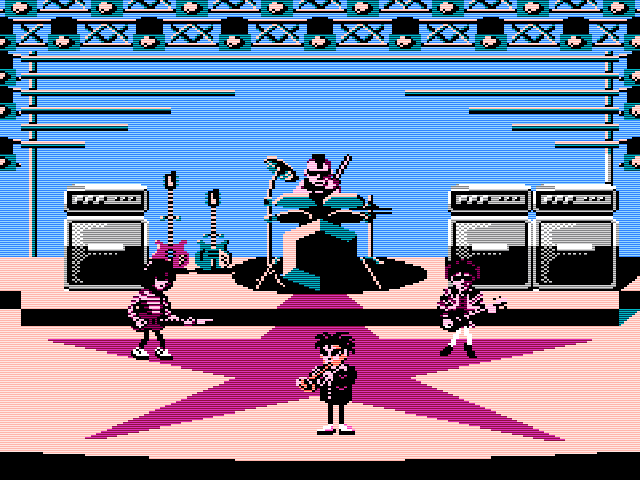 Including a full Chuck Berry/Back To The Future style stage rock-out if guitar is selected. Next up, Solo Mode is a simple keyboard-only mode. 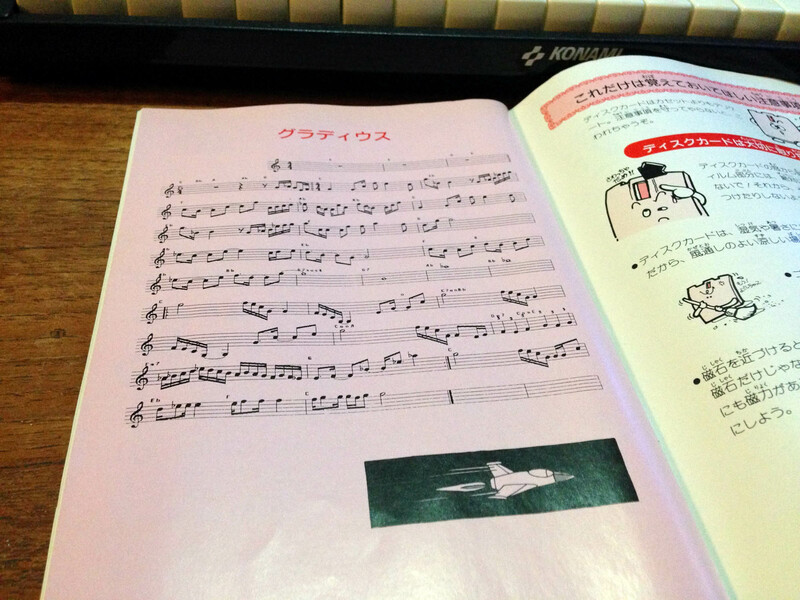 You can only select Piano or Organ, and play without accompaniment. So what’s the point? Well, this mode gives the entire system’s audio capabilities to the keyboard. 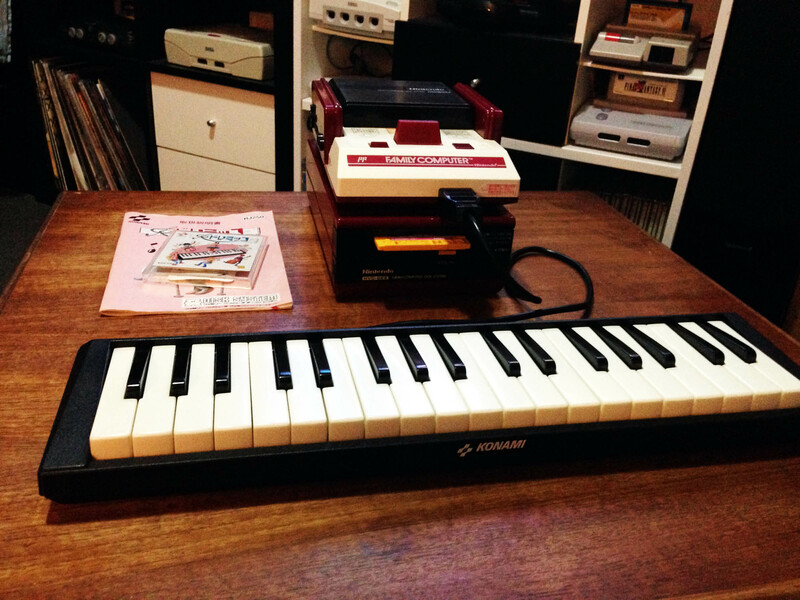 Effectively it allows you to use your Famicom (with extra Disk System audio channels) as a digital keyboard, allowing up to 10 notes to be played at once in full synth quality. 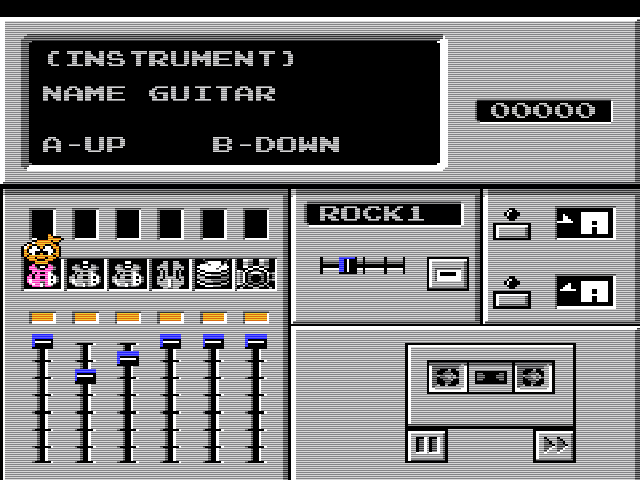 It also features the recording functionality of concert mode. It’s fairly limited, but would have been impressive in 1987 for the price, quite a decent way to record your compositions. Finally, there’s ‘Play Along’ mode. 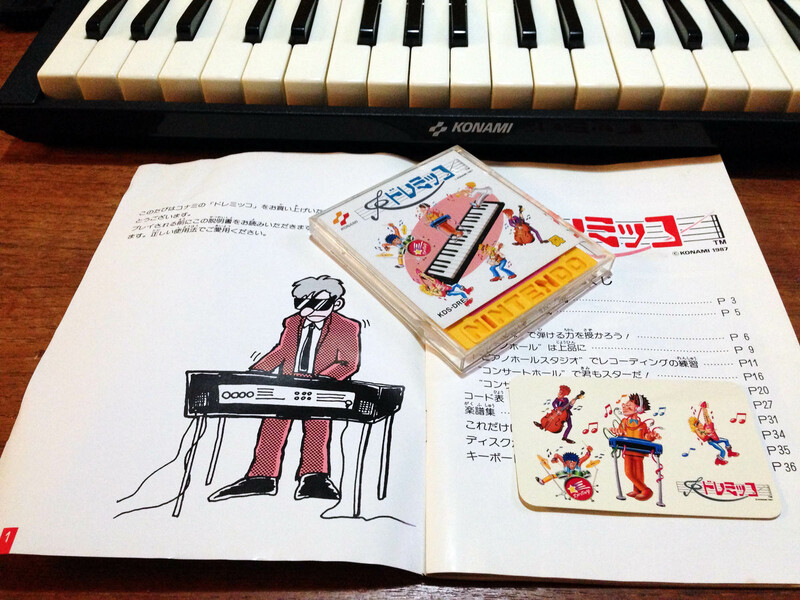 Each of the boxes contains the accompaniment to a song, and these songs have their music written out in the game’s manual. 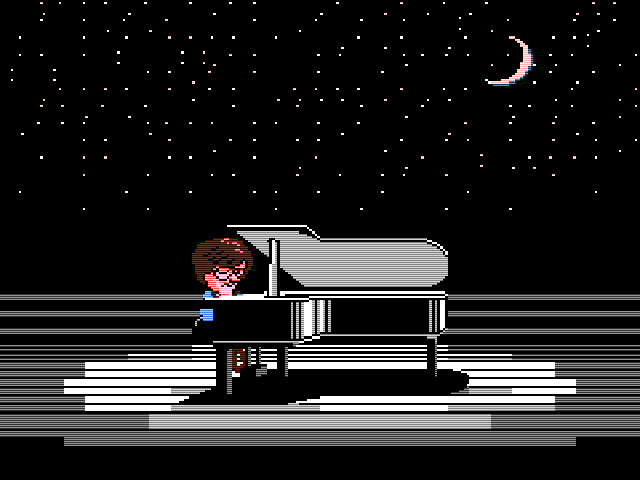 The keys light up on the keyboard on screen, helping you learn to play the piece. Of course the highlight is once again the Gradius medley. Overall there isn’t too much to it. 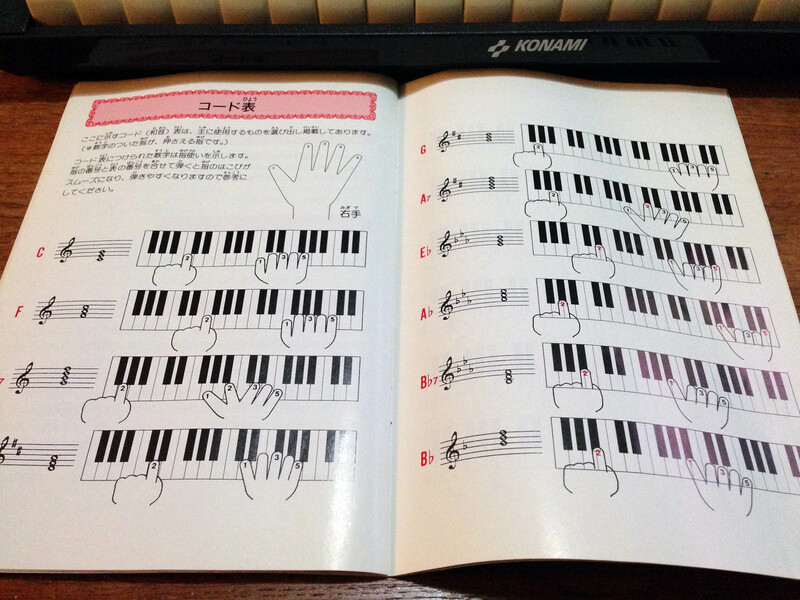 It’s actually more useful as a tool to write music on than as a game for entertainment. 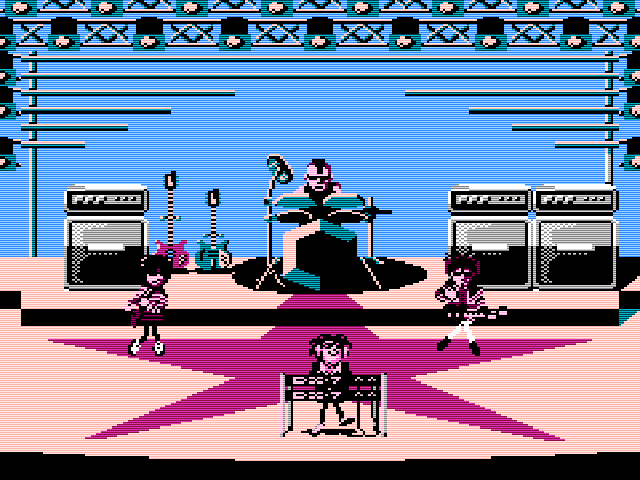 It’s so trivial today to make quick digital recordings, but in 1987, on the cheap Family Computer, it must have been some budding musicians’ dream come true. DoReMikko is also one of the Konami games that came packaged with a collector card. 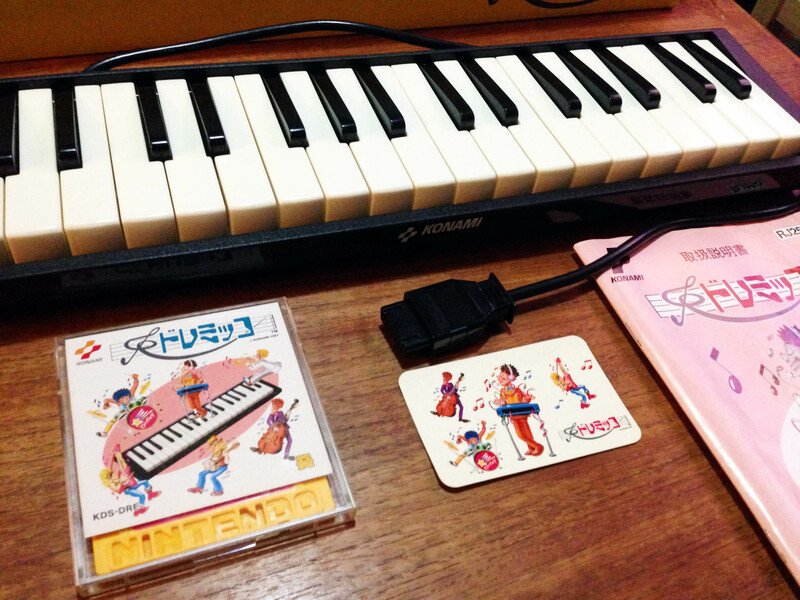 Pingback: The Complete Konami Famicom Disk System Set – Nintendo Sega Japan!